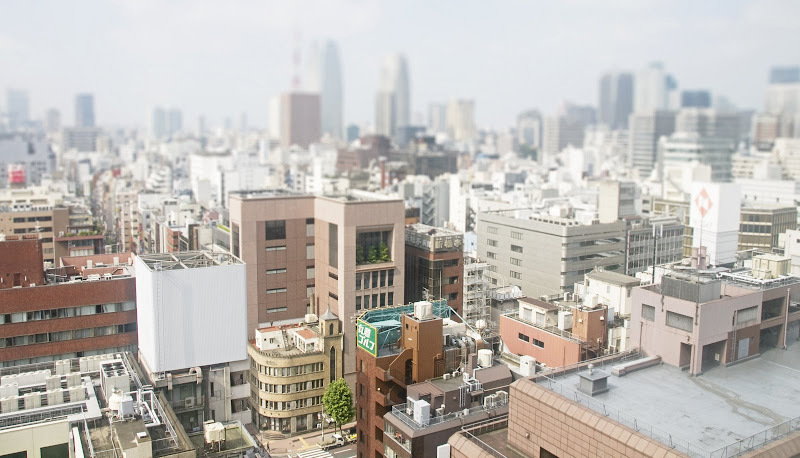 We’re in Tokyo for a couple of days. It’s hot and humid, you wake up sweaty and sticky and it just gets worse. It used to be that 30C (86F) was the threshold to determine if it was going to be unbearably hot. Now that threshold seems to be 35C (95F). The capusule condominium still stands. I read it was going to be demolished. 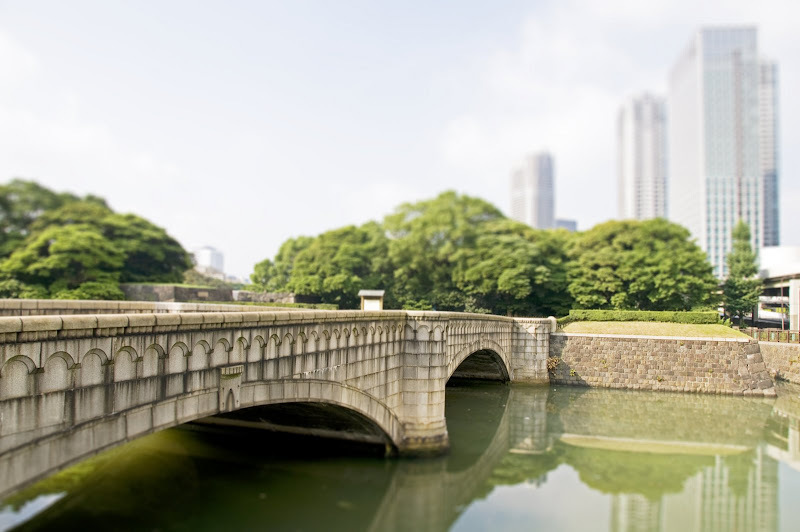 Unlike Southern California, Tokyo has a distinct sound in summer. Its the non-stop sound of the cicadas. Its the perfect background music for a hot sweaty summer. Southern California is a great place to live but there’s nothing that clearly distinguishes each season…they all seem to blend together. My wife was suffering jet lag and couldn’t sleep. So she woke me up really early in the morning to go for a walk. 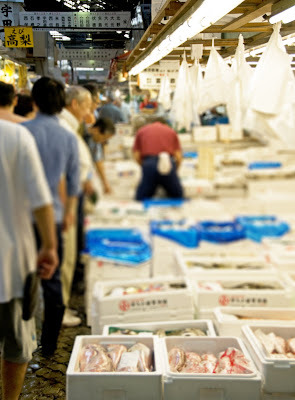 We decided to go to the Tsukiji Fish Market. Its amazing how many people are on the subway going to work at 5am on a Saturday morning. 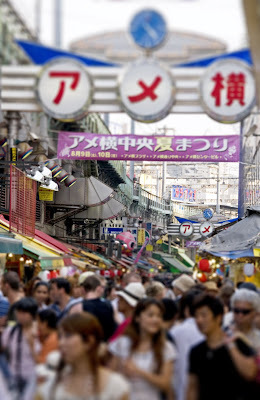 Tsukiji Market was bustling as usual – its the largest fish market in the world. 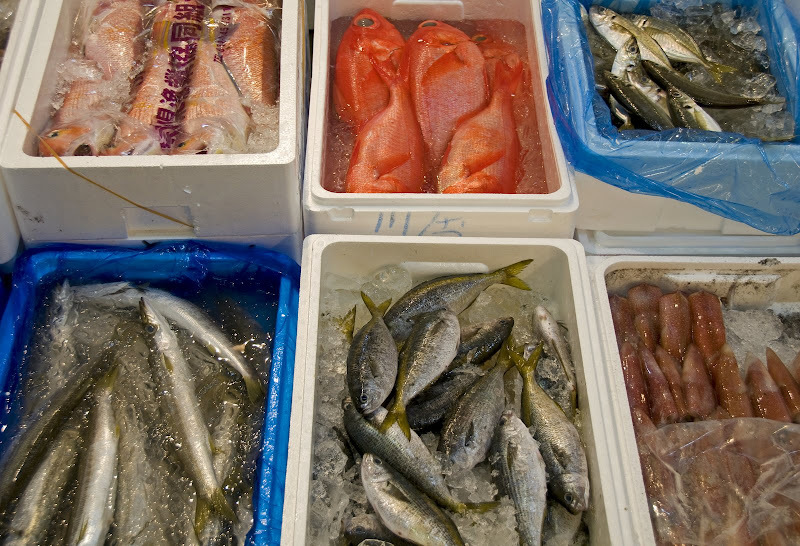 There’s a plan to move the market in several years to a man-made island away from the city center. 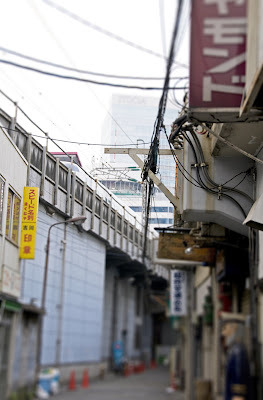 – Tsukiji is a short walk from Ginza. 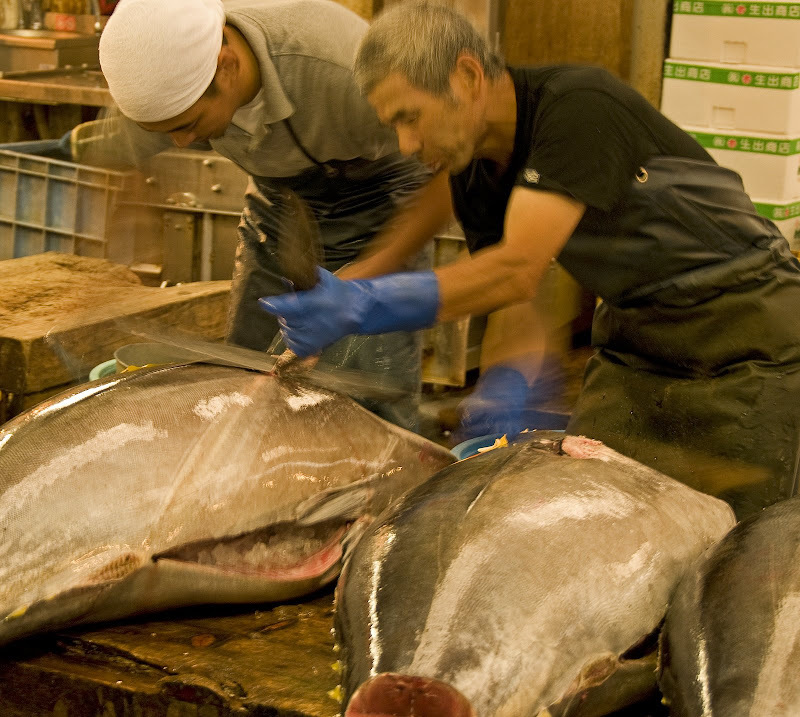 Its a shame since Tsukiji has been there since the 16th century. From Tsukiji we walked back through Ginza to Tokyo Station. 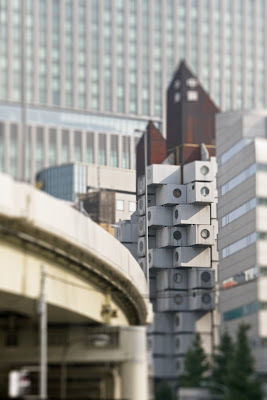 Space is precious and extremely expensive in central Tokyo, so no space is wasted. Lots of bars and restaurants occupy the space under the train tracks. 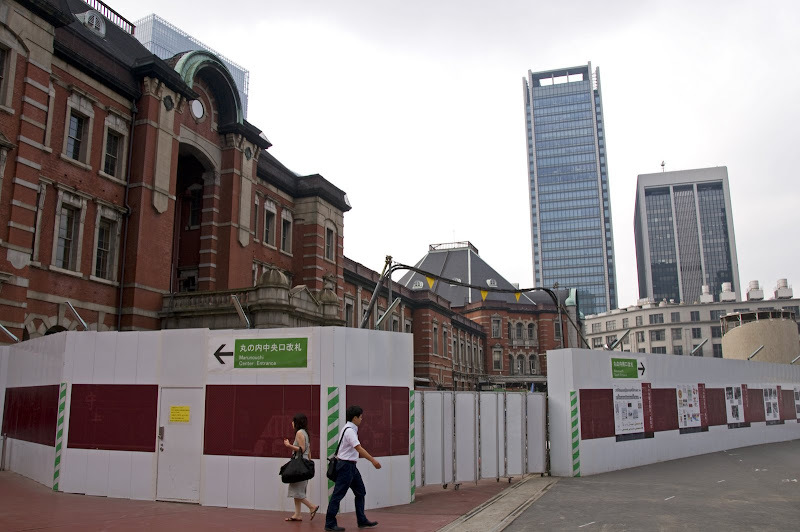 The Marunouchi entrance of Tokyo Stations is undergoing a much needed renovation. They’re restoring domes to their original circular shape, the original domes were destroyed during the fire bombings during WWII. We saw Takeshi as he walked passed us alone into the Maruzen bookstore…he’s an extremely popular and respected celebrity and director, but in the US his claim to fame is MXC (Takeshi’s Castle). This entry was posted in food, Japan, Tokyo, travel. Bookmark the permalink. These are some great shots! It is HOT here isn’t it?